Celebrating its 30th Anniversary, the animation style of The Little Mermaid remains as charming and mesmerizing as ever, but the plot and themes haver not aged very well over the decades, which for this viewer, raises some troubling concerns. Walking to the shores of Ultra HD, the celebrated Disney film arrives with an excellent HDR presentation, a satisfying Dolby Atmos soundtrack, and nice selection of new bonus material. The overall package is Recommended for those looking for the best presentation of the animated classic. 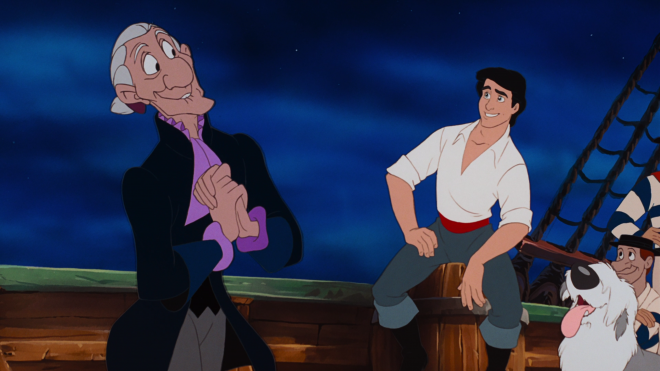 I'm somewhat astonished The Little Mermaid will be celebrating thirty years since its original theatrical release while at the same time, I don't believe the story of a teenage mermaid attempting to seduce a human prince has aged particularly well. Granted, I've never been fan of this celebrated Disney animated production to begin with, even when I first saw it in cinemas. I always found this adaptation of the classic Hans Christian Andersen fairy tale rather offensive, and three decades later, Ron Clements and John Musker's script has only grown more objectionable. 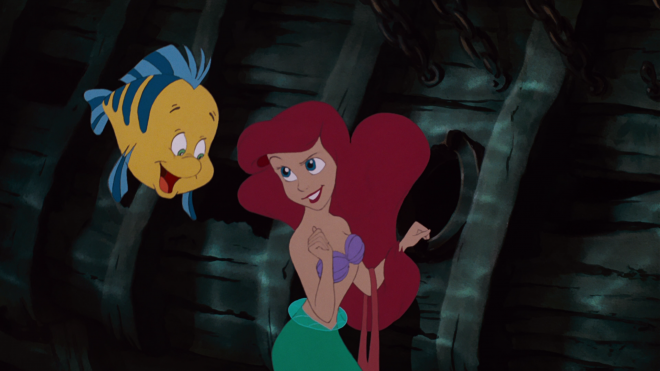 At its core, the plot is essentially about a young woman with a strained relationship with her father, King Triton, encouraged to relinquish her voice, behave like a brainless little girl and focus only on her physical attributes to attract Prince Eric, the so-called hero tasked with saving the titular protagonist when relegated to the damsel-in-distress role. And the only other male figure in her life, Sebastian, is the enabler. However, as much as I take issue with the plot's themes, I can overlook these concerns and objectively admit there is something admirable about the animation, which was relatively revolutionary at the time. 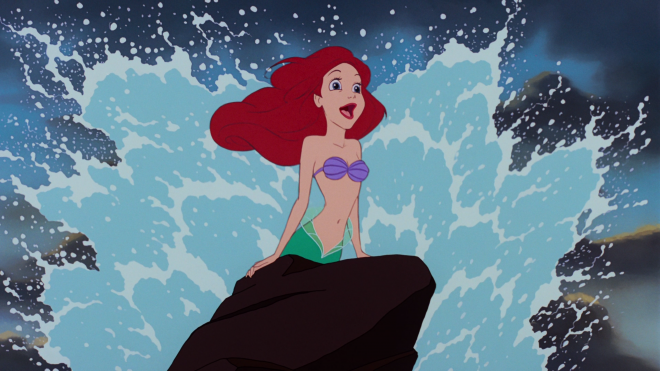 One of the film's more impressive moments is the "Part of Your World" musical piece when Ariel swims upward in her cave of collections and the camera fluidly follows her. Decades later, the panoramic views of the sun setting into the ocean remain a feast for the eyes, and the light sparkling in the water, especially the moment when Ariel jumps out the water for her first breath of air, continue to mesmerize. My favorites, though, are those with Ursula. Reportedly, the character posed the greatest challenge for animators because they strived to make her tentacles move as realistically as possible, and really, the way each slithers is strangely hypnotic. 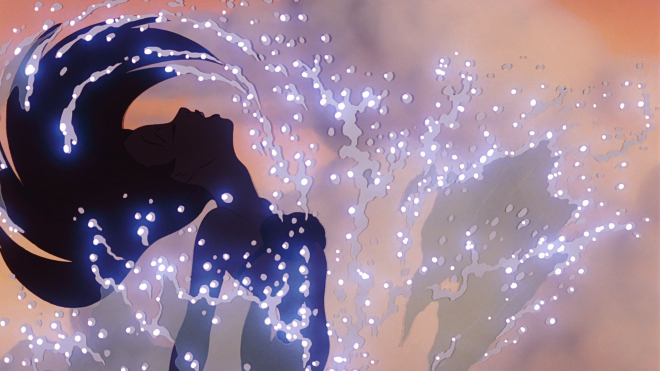 In the end, I can still sit and enjoy The Little Mermaid for the stunning animation work that went into its creation. For a more in-depth take on the movie, you can read our review of the Blu-ray HERE or the 4K digital version in Dolby Vision and Dolby Atmos HERE. 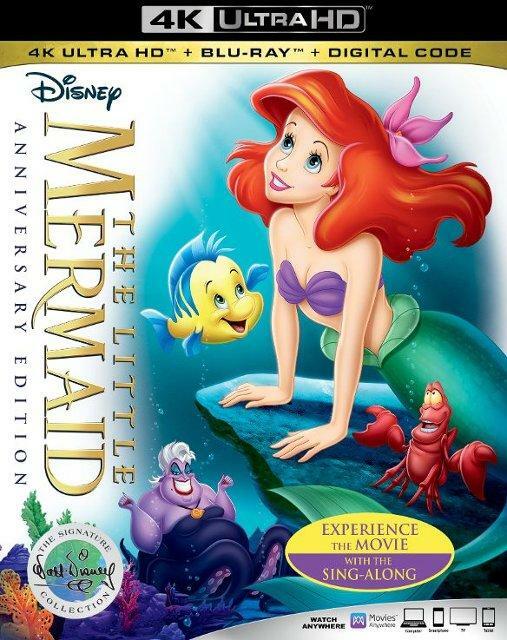 Walt Disney Studios Home Entertainment brings The Little Mermaid to Ultra HD Blu-ray as a two-disc combo pack with a flyer for a Disney Digital Copy. When redeeming said code via RedeemDigitalMovie.com or MoviesAnywhere, users should access to the 4K UHD digital version in Dolby Vision HDR with Dolby Atmos. The dual-layered UHD66 disc sits comfortably opposite a Region Free, BD50 disc. Both are housed inside a black, eco-vortex case with an embossed, glossy slipcover, and the accompanying Blu-ray appears to be the same one from the previous Diamond Edition release. At startup, viewers are taken directly to the movie. Ariel swims to be part of the Ultra HD world with a lovely HEVC H.265 encode (1.78:1) that takes an impressive step forward and leaves its Blu-ray peer behind floating in the ocean. Immediately apparent is the notable uptick in overall resolution, looking sharper and cleaner than in all previous releases. The finely-drawn lines of the characters, their hair, clothing and various other objects are more distinct while background information is more clear-cut and plainly visible, allowing viewers to make out our heroine's entire collection of junk. Contrast doesn't make a dramatic jump, but the 2160p picture is nonetheless brighter with crisper, more brilliant whites, such as in the hair of Ursula, King Triton, and Grimsby. Likewise, specular highlights are not particularly striking, but there is enough of a subtle improvement to appreciate the better detailing within the tighter glow of the hottest areas, particularly those sequences where Ursula casts her magic. Black levels, on the other hand, are inkier and oilier with excellent gradational differences between the various shades while maintaining outstanding delineation within the dark, velvety shadows of Ursula's cave. Along with the excellent video presentation, Disney continues to surprise with a shockingly terrific and unexpectedly stirring Dolby Atmos soundtrack that improves on its DTS-HD Master Audio 7.1 predecessor. Originally recorded in stereo, the new mix is not the sort to push one's system or compete with modern actioners, but sound engineers have done an amazing job enhancing the original elements for the object-based format. Subtle ambient effects, like the chirping of birds, underwater bubbles, the fluttering of fish fins and the sloshing of water, pan through the overheads and surrounds with flawless, convincing movement. Supplements ported over from the previous Diamond Edition Blu-ray are joined by a couple of new bonuses, exclusive to this 30th Anniversary Edition. For more on the supplements available with the digital version, please click HERE. Sing Along Mode (HD): Lyrics to the music and songs appear on screen for users to sing along while watching the movie. Alan Menken and the Leading Ladies (HD, 16 min): The composer chats with the women who provided the voice talent behind some of Disney's classic songs. Stories from Walt's Office: Gadgets & Gizmos (HD, 6 min): A tour through Walt Disney's office and the many collectibles decorating the room. What I Want from You Is . . .Your Voice (HD, 6 min): Actors talk about providing the voices, the characters and the preparation while sharing various anecdotes. #Treasuresuntold (HD, 6 min): Disney Channels stars Olivia Sanabia and Ruby Rose Turner share some factoids about the animated film and the production. Music Video (HD): DCapella performs an acapella version of "Part of Your World." Audio Commentary: Writers & directors Ron Clements and John Musker are joined by composer Alan Menken discussing the production's technical aspects. 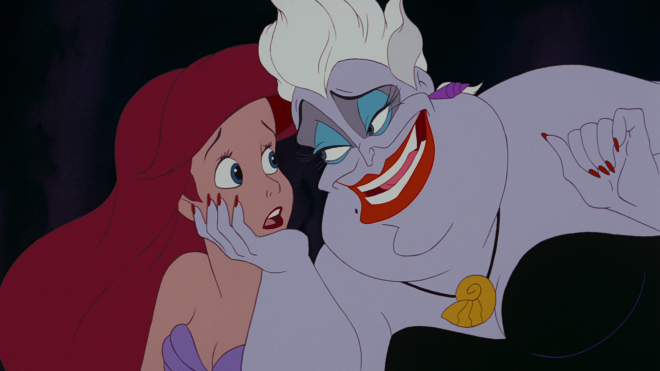 Although this viewer takes issue with certain aspects of the plot and its themes, The Little Mermaid nonetheless can be appreciated for the stunning animation work, which surprisingly holds well and Ursula remains the more interesting character. Celebrating its 30th Anniversary, the Disney animated favorite walks on the shores of Ultra HD with an excellent HDR10 presentation that nicely improves on previous home video editions, making it the best the movie has ever looked, and an impressively satisfying Dolby Atmos soundtrack. 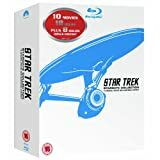 With a small but new set of bonus features joining a few ported over from the Diamond Edition Blu-ray, the overall package is recommended for fans of the film.